Is it Possible to Buy a House with No Down Payment and Bad Credit? Life is not without hiccups. There are many reasons why someone may not have a good credit score, but regardless of someone’s credit score, they will reach a time in their life where they will want to become a homeowner. Is it possible, though, for someone with bad credit to procure a mortgage and purchase a home? Or someone without a down payment? Or someone with a low credit score and without a down payment? There are options for those down on their luck who do not want to be left out of the home buying market. Saving for a down payment is a huge undertaking. With the costs of housing being at an all-time high, it can be difficult for people to put away enough money so that they can enter the housing market. Once you do enter the housing market, the money you would be putting towards rent ends up going back towards you, by paying off your mortgage and investment. The longer someone is kept out of the market due to being unable to pay for a down payment, the worse off their financial situation will be. 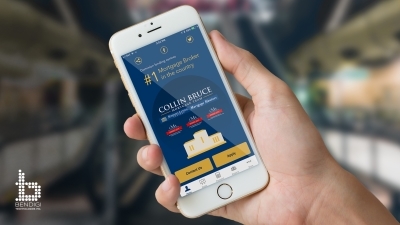 At Collin Bruce, we work with our clients to help them get a borrowed down payment. Whether this is from a loan or a line of credit, we help our clients set these up so that they can get into the housing market and start paying themselves first. The minimum down payment needed on a home under $500,000 is 5%. If you have gone through a bankruptcy or have bad credit that you are struggling to correct from earlier in life, then there are still options for getting a mortgage. You can get a high-risk or subprime mortgage with bad credit, especially if you are working with a mortgage broker. High-Risk mortgage chargers higher interest rates which are how they compensate for the higher risk that someone with a bad credit score brings with them. If you have bad credit, you may be able to get a reasonable mortgage if you have a substantial down payment and stable employment. The other option when you have bad credit is to wait and improve your credit score, a time in which you can save up for a more substantial down payment. In a case where you have both no down payment and bad credit then you should, at the very least, have stable employment with a substantial income. The higher your income, the better chance you have of procuring a mortgage. In this case, you will most likely be both borrowing for your initial deposit and chances are you will have a subprime mortgage. With bad credit and no down payment though, it may not be possible to find a lender for your 5% down payment. It is a good idea to spend time improving your credit and saving up. While you may never have perfect credit, working towards a better credit score for even a few years can improve the situation. Missed payments remain on your credit score for seven years, though they do gradually diminish, and major delinquencies can affect credit for a decade. Even if you get into the housing market later than what you would have liked, you will reach your goals! It is important to remember that there are many factors in acquiring a mortgage. Credit score, down payment, employment and employment history, and other debts all matter. No matter what your financial situation though, come to speak to us at Collin Bruce Mortgage Team and let us see what we can do for you. Whether you are a first-time home buying in Edmonton or you are looking to refinance, we are the best mortgage broker in Edmonton and can help you find your dream home. Contact us today and let us work with you to find a solution that works.